One thing I do like is an organised physical music collection and a nicely organised digital music collection – albums in order, all with cover art etc). Strangely enough, the way I organise my physical and digital collections is different. 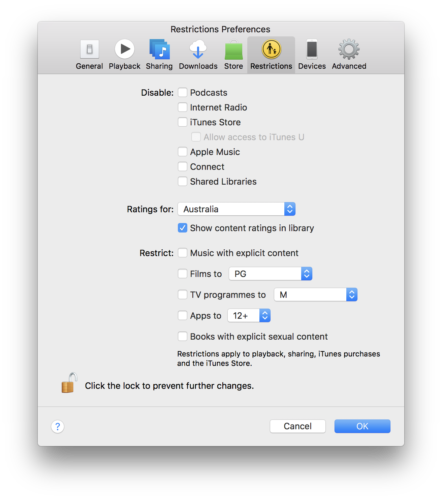 Over the next couple of posts I’m going to discuss some tips you can use to assist in organising your iTunes library and describe how I arrange mine. If we treat this like any digitisation project we might undertake at work, we’ll end up with a future proofed, fully organised and catalogued music collection. Even though the world is moving to a streaming business model, I like owning the things I love and having something physical, so these tutorials will be based around starting off with a physical CD. Working in a collecting institution it goes without saying that some of the workflows that happen in the workplace have flowed through to my personal processes. In the digital world, you always want to work off a master file that is the highest quality available. 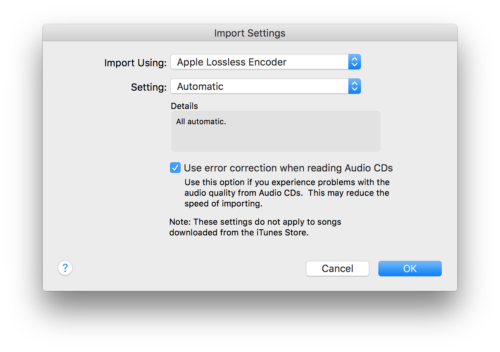 So for iTunes, this means ingesting any music in the highest possible quality – for iTunes this means using the Apple Lossless Encoder. Unlike the default AAC encoder, this compresses the file, but in a lossless manner, so when it’s decompressed during playback, it’s identical to the original. To my ears, I honestly can’t tell the difference between an Apple Lossless file & a 256kbps AAC compressed file but storage is cheap these days so it’s easy to do it correctly right from the very start. 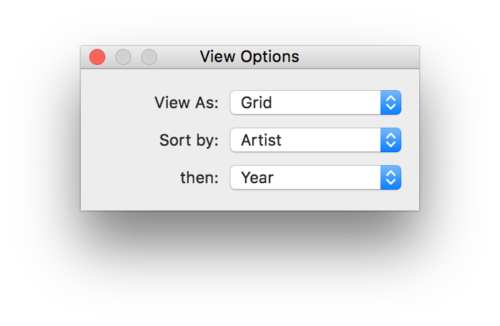 All I know is there’s no way I want to go back & copy all my CD’s all over again in sometime in the future when the next major file format comes into play. So why go with Apple Lossless rather than something like an accepted standard like WAV (or even FLAC)? We’re talking iTunes here & that means everything becomes so much easier doing things the Apple way. 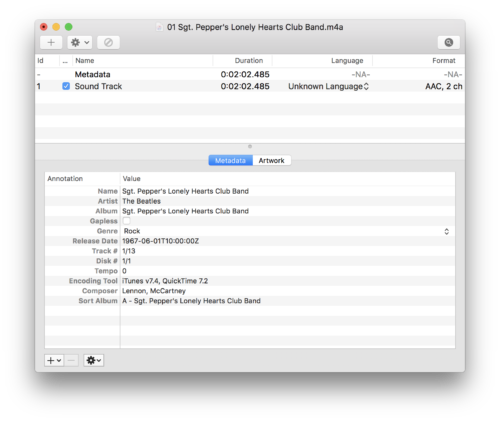 FLAC files don’t play nicely with iTunes and a few tricks I’ll show you in a later lesson will only work with Apple Lossless (or AAC) files. 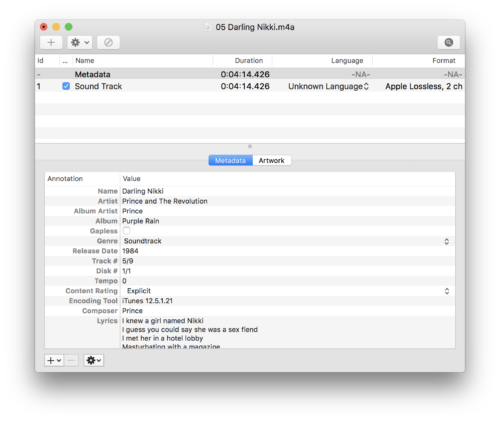 The Apple Lossless encoder is open source, so hopefully it won’t become an obsolete format (there’ll at least be tools to convert it to another lossless format). 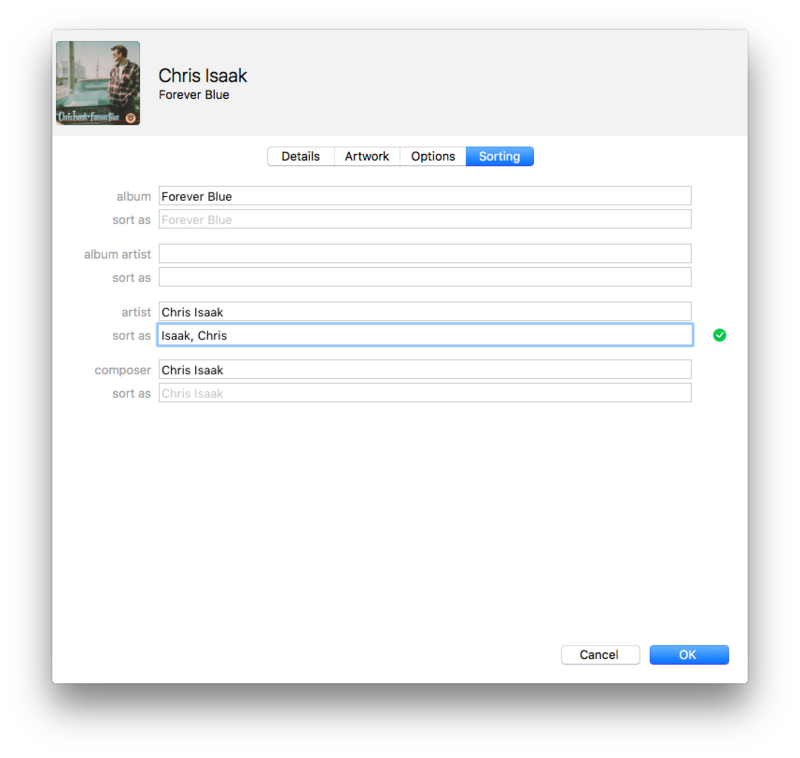 When importing a CD, iTunes will automatically pull down metadata from Gracenote. Sometimes this is good, sometimes it’s not so great, so it’s worth taking a couple of minutes to get it right. 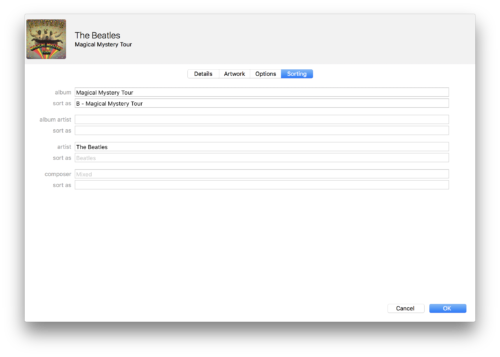 I always go through and check the metadata for each track as well as the overall album metadata. Once you are happy with both your settings and that the correct metadata is going to be assigned, go ahead and import your music. 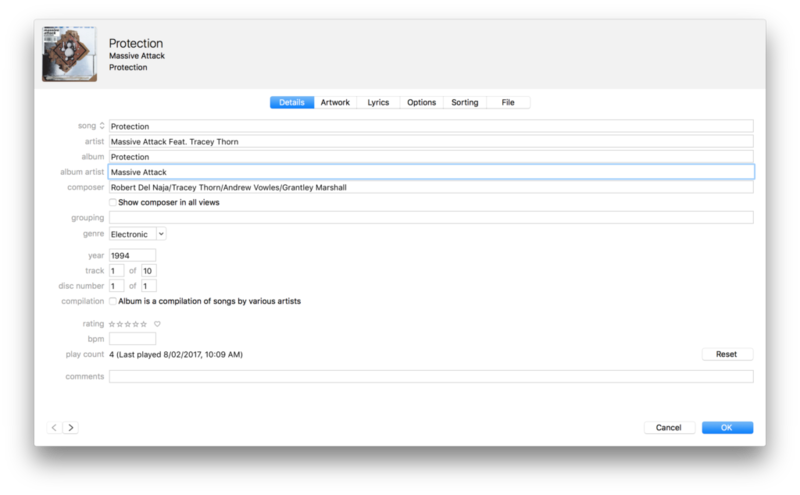 Over the next series of tutorials, we’ll look at fine tuning the associated metadata to give us a highly organised library. In my previous post I spoke about owning your own content and controlling how it’s published. This post is something that demonstrates the value of having your content online. I’ve never written about this before, I don’t know why, it was very interesting to be part of. At the start of 2010 I gave a presentation at VALA titled Everything I know about cataloguing I learned from watching James Bond (PDF). The presentation explored using facial recognition (using a sample set of photos of our Prime Ministers) and colour analysis as different ways to match and explore items within a collection. At the time it was pretty advanced, now, 8 years since the research took place, some of it seems pretty primitive as there’s been massive advances particularly in facial recognition and other forms of computer vision and artificial intelligence. About 18 months after the presentation I had a phone call at work from the journalist Ross Coulthart. He had come across my paper from VALA and had an interesting opportunity on offer. 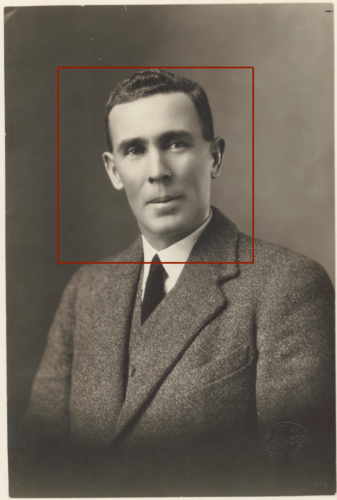 Kerry Stokes AC had just purchased the Thuillier photographic collection of World War One soldiers that was discovered in a French farmhouse attic (now more commonly known as the lost diggers of Vignacourt). 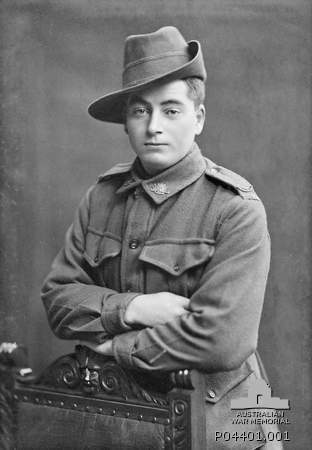 This collection consisted of over 3000 glass plate negatives of Australian, British, American, Canadian and other allied soldiers from the First World War. 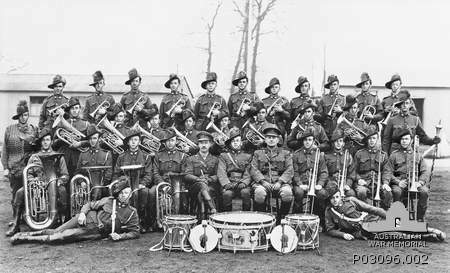 Ross got in touch, because, they had these beautiful images, but there was no record of who the soldiers were in the pictures. They had built a website to try & crowd source details, but he thought there had to be a better way. Having come across my paper & seeing as I worked at the library, he wanted to see if we could use the techniques I had experimented with to possibly match these images to any images from our collections that might have names associated with the image. Of course, I jumped at the opportunity! Images were then run through a simple face detection algorithm to generate some level of accuracy indicator. This basically just returned the number of faces detected in an image. Many of the images were group portraits of units (so lots of faces detected). Getting great facial details was going to be much harder to detect compared to a head and shoulders portrait (where only 1 face would be detected). This also had the added bonus of eliminating false positive landscape photos that contained terms like “general view of…” in the title. In addition to military groups, it also brought back a lot of sporting group photos (as they listed the captain of the team in the description). 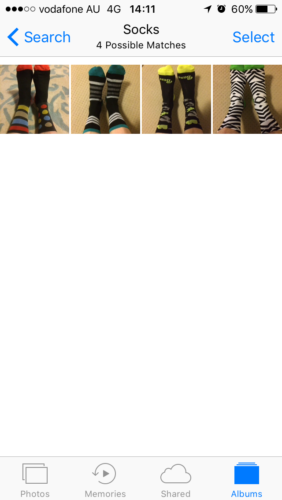 I grouped these into portraits, groups (military) and groups (sporting). I then used this dataset to crawl the relevant institutions sites and download the highest resolution image that was available online (in many cases just a 450 or 600 pixel wide/tall image). Due to time constraints it would have been impractical to attempt to order high resolution scans of all the images. This resulting dataset, contained just over 5,100 images. At this stage, my contribution was done. Once I passed these images & data on to Seven, they used facial recognition services (from I believe a security firm) to compare and match these images to the glass plate negatives. Unfortunately, this process didn’t match any of the unknown soldiers with known soldiers. From what I can recall there were issues at the time with just using screen resolution images, with many of the images lacking the required detail for matching. Despite not getting an outcome, it was a fascinating process to go through & was a really nice outcome that validated what I set out to do when undertaking the research for my paper. It’s been so exciting to see what happened since I made my little contribution to the project, it went on to great things: there was a feature on the Sunday Night TV show, a book, an exhibition and permanent home for the collection at the Australian War Memorial. Now, 6 years on from when the initial work was done, if it was done again it might provide different results. Facial recognition software has improved so much. Many institutions are also delivering much higher resolution images on their sites than they were back then.A combination of just these 2 items might prove to be more successful for other projects embarking on trying to solve a similar problem. If I was to undertake the same problem today, I would probably just load a data set into my phone & let the photos app analyse everything. I could simply do a search for “soldier”. The moral of the story, put your ideas and thoughts online. You never know who will discover them and what they might lead to. You are currently browsing the Paul Hagon weblog archives for the year 2017.